Original Content: More Fearless Plant Hunting! 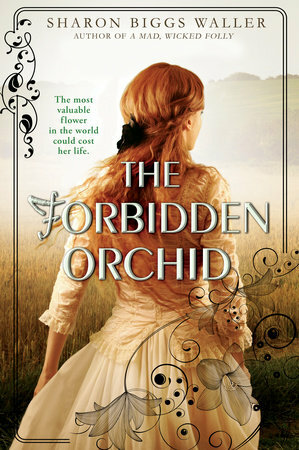 I picked up The Forbidden Orchid by Sharon Biggs Waller (who is rather fascinating) because I liked Waller's earlier book, A Mad, Wicked Folly, and because The Forbidden Orchid is about the search for botanical treasures during the nineteenth century. During that period, botanists went out into lesser known parts of the world hunting for new, unknown plants just as Egyptologists hunted for tombs and paleontologists hunted for dinosaurs. I am fascinated by the incredible thirst for knowledge people experienced in those days and the total lack of respect for other cultures that often accompanied it. The Forbidden Orchid takes a very long time getting to the material that interested me. The first half of the book deals with our protagonist, Elodie's, narrow, Victorian life at home while her father is off hunting for plants in China. Waller does feminist history well in her books, but as good as that was I wanted to move on to the plants. Then there is an odd love interest section that I was impatient with, because I wanted to move on to the plants. But I have to admit, teen Gail would have stayed up late reading that part. And then we get to the hunt for plants! Politics! History! The book has what I think could be called a feminist ending. Actually, I could get into a sequel, especially if it started with plants! Politics! History! Thanks, Gail. I'm going to give this a try, though I'm with you on the love interest part -- and would have been with you as a teen, too. I liked Tracy Chevalier's book Rare Treasures about Mary Anning, but could not believe or care about the romance. Did you read Elizabeth Gilbert's The Signature of All Things? Loved that -- great nineteenth century scientist with just the right amount of quirky relationship stuff. I had not even heard of The Signature of All Things http://www.elizabethgilbert.com/books/the-signature-of-all-things/ And, believe it or not, I may have read an essay or two by Elizabeth Gilbert, but nothing else. Very interesting after having read The Forbidden Orchid. bonus points on The Signature of All Things for being funny some of the time! That may have put it over the top for me.